For somebody who loves to run, PUMA definitely brings happiness. Here is a quick post to tell you about the PUMA Urban Stampede! It's gonna happen in Bangalore on the 2nd of August. Yes, you read that right. Where? You ask? Well, at Embassy Manyata Business Park, Bangalore. All of you runners just have to register at www.pumaurbanstampede.com. Every registration comes with a 1000 INR F&B voucher from PUMA Social Club. 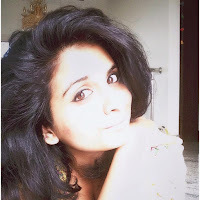 Plus, the event is being powered Jabong.com! 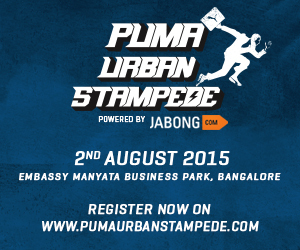 Are you ready for #PUMAUrbanStampede?